If you care about your garden or your backyard, then you already know that you have to properly maintain it in order for the plants, flowers, vegetables, herbs, or whatever you have growing back there to be healthy and grow strong. A good way to ensure healthy plants is to apply Impact Organics All Purpose Plant Food Earthworm Castings to your garden. It's a great way for all the vegetation in your backyard to get all the nutrients they need. 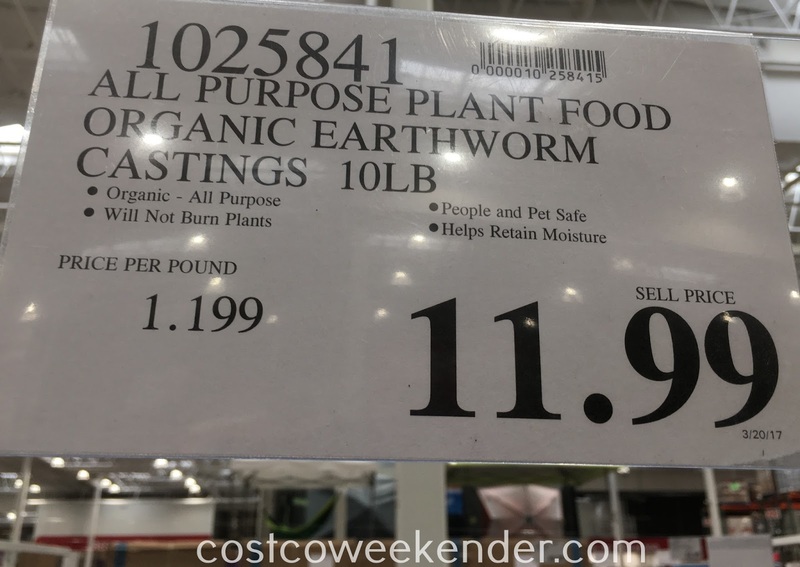 If you didn't know, these earthworm castings are a by product of earthworms when they break down organic matter. 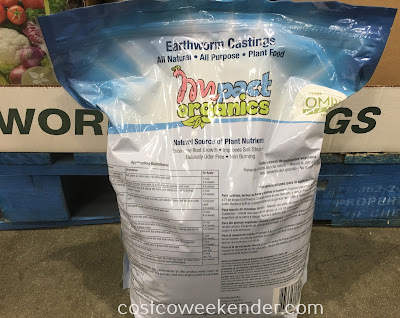 This is also called vermicast, compost, or worm humus and it's great for vegetation and the environment. It enriches the soil with valuable nutrients and will go a long way to having the Garden of Eden in your backyard. 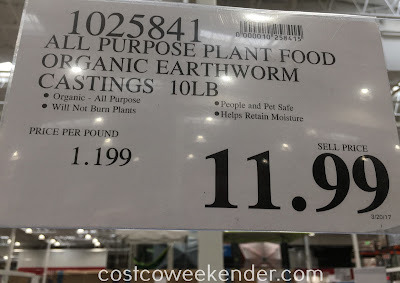 Use it as a top dressing, natural and organic fertilizer, mulch, or just mix it with the soil, and getting it at Costco is a whole lot cheaper than if you got it from a hardware store like Home Depot, Lowes, or Orchard Supply.